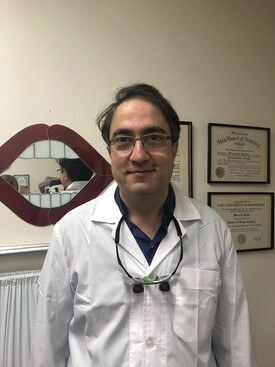 He is a graduate of dentistry in the year 2000 and an active member the Royal College of Dentistry, Ontario and Canadian dental associations. Dr.Vahiderza is always keeping up with the latest technology and education in the dental field. Dr.Vahid is a family man spending his spare time mostly with his wife, beautiful daughter,and cute twin sons. He enjoys traveling with his family , playing slots with his kids.